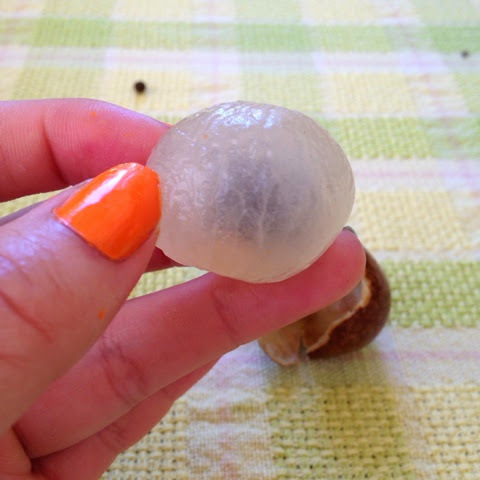 Ever since I can remember, I had always loooooved eating Longan, a type of fruit that is covered with a shell and its white to clear flesh inside covers a black seed. 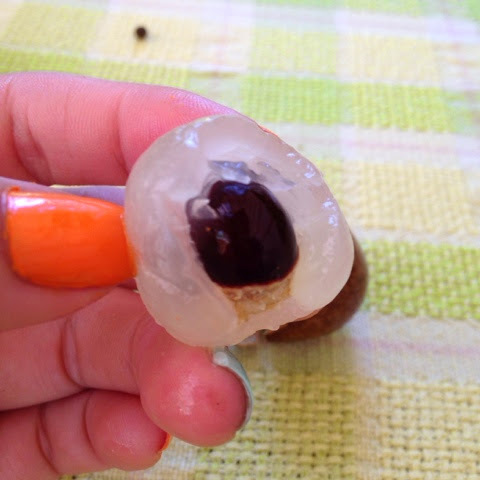 This fruit is similar to the lychee and both are in the soapberry family (but not your 'typical' idea of a colored berry like blueberries, raspberries, strawberries, etc). 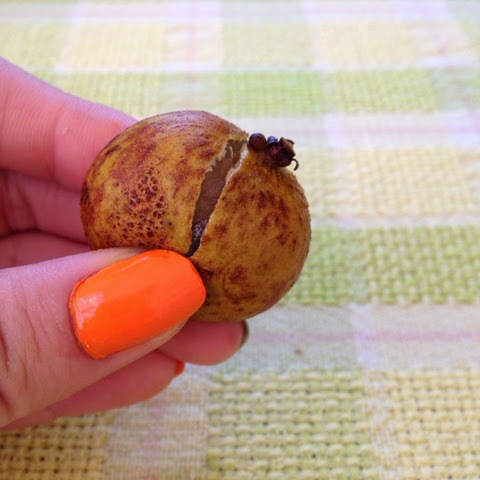 This fruit is native to Southeast Asia and I grew up eating this fruit since my mother's family is from Malaysia, where Longan is grown in abundance. This fruit is grown in warmer climates, so you can also find this in more tropical areas such as Florida, USA. Most of the ones you will find in Asian grocery markets are either from Florida, USA or Thailand. What a lot of people don't know is how to eat this delicious fruit! The fruit is grown on a tree and each fruit round is attached to a stem, much like grapes, but there is a little more work to be done before you can eat it. Step 1: Make sure you wash the fruit round, or the whole bunch, before eating it, unless you only use your fingers. There is a lot of dirt that can be settled on the outside skin. 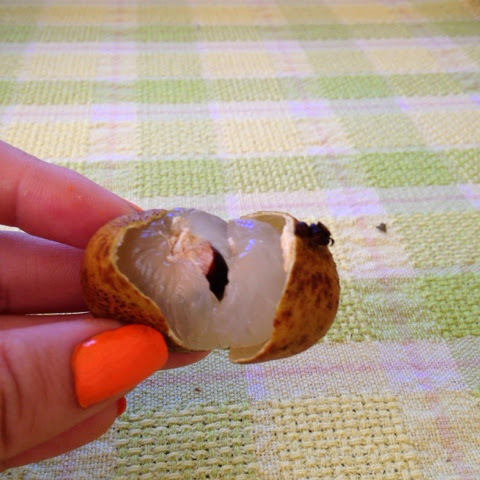 After you wash it, take light bite on the fruit, just enough so the shell cracks open (usually almost in half). Step 2: After you bite the fruit, you can then start to peel off the skin, and this usually comes off very easily after you bite it initially. If you were to just peel it with you fingernails, the pieces tend to break off and you end of having to peel more than necessary, which takes the whole process a lot longer and it becomes a whole lot more frustrating to eat! Step 3: After you remove the skin, you are left with a succulent and juicy round fruit that has a clear to white looking flesh. This part is extremely sweet and is very mild in acidity. Step 4: You can't eat the seed, so all you do is either bite it in and eat it in pieces or just pop the whole thing into your mouth. Step 5: After you eat the sweet flesh, you are left with the seed which you can put into your yard waste! And that's it! Quick and easy way to eat this delicious fruit. Don't be scared to try it! It really is hard to describe the flavor if you haven't had anything like it before. Fruit from Southeast Asia may be seen as exotic and what not, but they are truly delicious and flavorful and many times have many benefits. Chinese people have used this fruit in many ways, especially for herbal healing purposes in soups and drinks. This fruit is also just used as is delicious in many desserts. Though more expensive and harder to find in its fresh form, this fruit also comes canned in syrup and you can find it in most Asian grocery stores (look for the brands Aroy-D, Chao Kuo). It isn't as healthy since it is in syrup, but you can always drain the syrup and do a slight rinse of the fruit in cold water, just to get the flavor. This also makes a wonderful condiment in some alcoholic beverages too such as those sweeter cocktails. 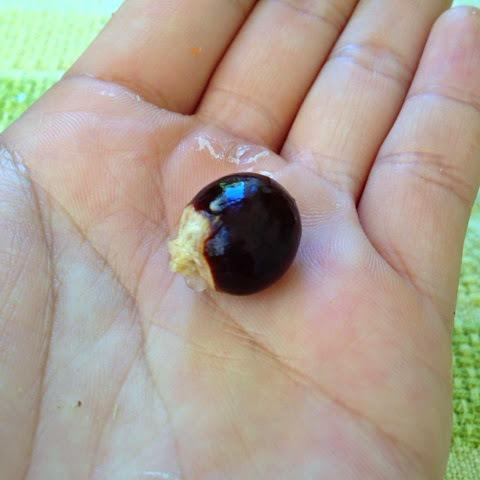 This fruit can also be used dried, but the flavor and color both become deeper. 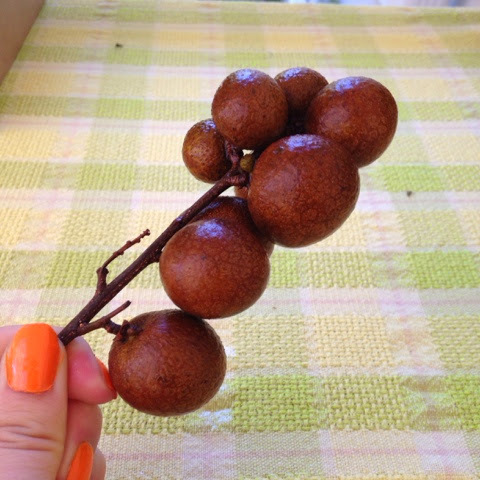 I actually recently ate these on a trip to Southeast Asia but never found out what they were called ! So glad I found this post ! Ooo I'm so glad you found this post and now know what they are called! Did you like it? 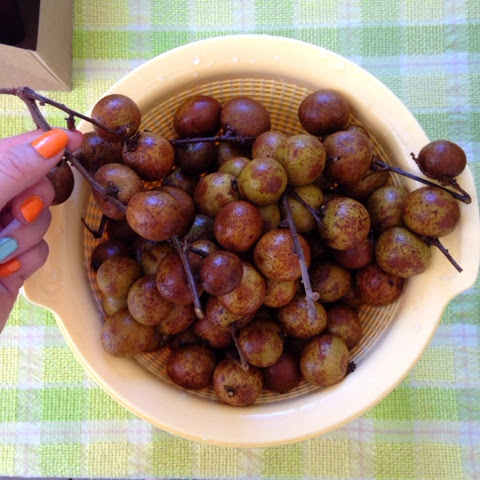 Ahh, I will be going to Southeast Asia in September and I can't wait to eat them fresh off the tree! hehe.